Do you recall the trip my husband and I took to Arizona back in April? I mentioned a few restaurants we dined at, and how amazing and innovative the dishes were. What I failed to mention was True Food, one of the restaurants we dined at, is partially owned by Andrew Weil, health food guru. 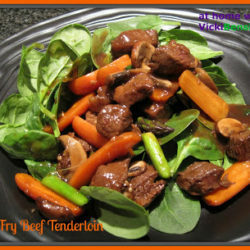 True Food believes in serving food that is healthy for you, but flavorful as well. A combination they claim, that until their first location opened in Phoenix, in 2008, was unheard of. I can tell you from first hand experience that our meals were fantastic! My husband, who’s a picky eater, ordered an appetizer with his meal and loved both dishes, as did I.
I was so excited about our dinner that I asked if they had a cookbook. They did, but were sold out, so of course I found it on Amazon, and ordered it. I’ve prepared several dishes from True Food: Seasonal, Sustainable, Simple, Pure , and have enjoyed it so much, I brought it out with me to Colorado. Tonight, I decided to make a southwestern dish from the cookbook that is full of flavor, fresh ingredients, and healthy. I’m sorry to say though that my photo doesn’t do this dish justice. I should have taken the shot before dolling out the portions on the plate, since it looked prettier that way. Trust me, this was so delicious none of us could stop eating it. Simple ingredients and simple to prepare – filling the room with an aroma that was comforting while the Enchiladas baked in the oven. The photo above shows 2 Enchiladas. The one on the left had the Tomatillo Salsa, the one on the right, a fresh tomato salsa I had purchased. I decided to use that on half the recipe in the event my family disliked the Tomatillo Salsa. To my surprise, they loved the Tomatillo Salsa version best, and so did I. The flavor was perfect and authentic tasting. I was impressed! This recipe is perfect for a family gathering, Mexican Fiesta night, or when your kids have friends coming over. 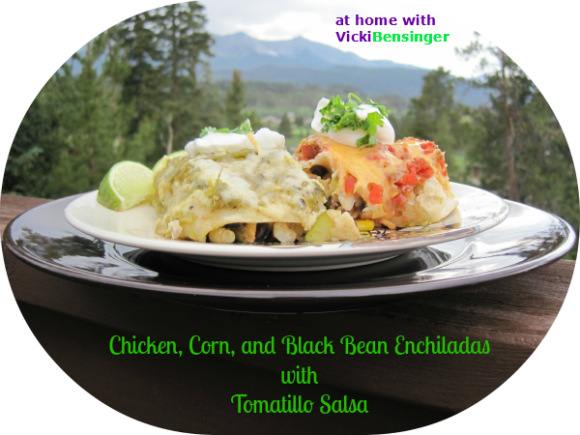 Everyone will love Chicken, Corn, & Black Bean Enchiladas with Tomatillo Salsa. I hope you’ll try it! Tomatillo Salsa: Place all of the Tomatillo Salsa ingredients in a food processor or blender and blend until smooth. Leftover salsa may be stored in the refrigerator for up to 3 days. Enchiladas: Place the corn kernels in a large skillet over medium-high heat. Cook, stirring occasionally, until lightly browned. If using frozen, defrost. In a mixing bowl, combine the corn, chicken, jicama, chile, zucchini, black beans, diced Machego, and chili powder. Mix well, adding salt and pepper as needed. Spray with non-stick cooking spray then ladle 1/4 cup of the Tomatillo Salsa into a shallow, ovenproof baking dish large enough to hold 12 enchiladas in a single layer. Arrange the tortillas on a flat surgace. Spoon the filling into the center of the tortillas. Roll the tortillas around the filling and place them seam side down in the baking dish. Nestle the enchiladas against one another to help them hold their shape. Top with 3/4 cup of the salsa and the shredded Manchego. Bake until hot, about 30 minutes. Serve with dollops of yogurt, the cilantro sprinkled on top, and the lime wedges on the side. For the chicken, I purchased ready-made whole roasted chicken and diced the amount needed. To roast the pablano, using tongs place over fire on stove or rub with olive oil and place in 450F degree oven and roast until skin is charred. I used canned black beans that I rinsed and drained to remove and excess sodium. I think this must have been delicious!! 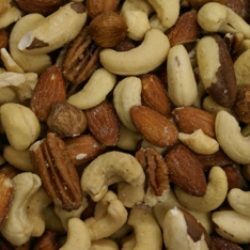 The ingredients are are flavorful and they are all good and healthy for you. I am glad that everyone enjoyed. It is fun and even exciting when everyone enjoys along with you. The recipe is full of flavor. If you enjoy dishes like this give it a try, it’s so good. Great restaurant and the cookbook is too. If you liked the food you should check out the book. Ain’t we all love healthy and delicious treats!! It looks very tasty and good for you too! It’s delicious. I hope you’ll try it. You have brought a big smile on my face with this post and recipe which I’ll certainly try. Dr Andrew Weil has been my ‘guru’ since forever: very early in the piece after finishing Medical School i realized I did not believe in half of what I had been taught: Dr Weil had begun his own integrative approaches at about the same time and I became a keen follower. Still am alto’ I lean even more to the alternate [Chinese Traditional, Ayurvedic etc] than he does. Have all his books and tapes and follow many of his routines. Did not know about his involvement in the restaurant. Now, thanks to you, I do 🙂 ! That’s very impressive. What kind of doctor are you? It’s a great book you should check it out. I need to explore his other books. Is there one in particular you recommend? 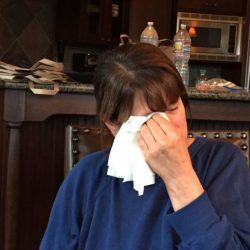 Vicki: late to answer as am amidst of three weeks of not sleeping following the Tour de France 🙂 ! I am a very plain MB.BS [medicine/surgery] out of Sydney Uni. Got married, did not practice, went the business world track instead! !Unimportant tho’ it led me to some three decades or more of learning about natural medicine, largely in the form of nutrition. Still studying 🙂 ! Look, I have ALL of Dr Weil’s books and tapes methinks and there is no one I would put above the other. I have related to all and used all of them – but I shan’t forget: once the Tour is over I shall take a look and email you!!!!! Were you physically at the tour? If so, for pleasure or to work there? [Big laugh!] I wish: to be physically there I mean!! No, the reason some 200 to 300 thousand Australians are unfit for ‘daily work’ every July is that we watch TdF in real time and the show begins for us at 10 pm and goes most of the night!! Absolutely fabulous if you love travelling [wonderful filming] and cycling! My eleventh time: but then I work from home . . . well not very much in July!!!! Six more days of not making sense to anyone . . . .
Vicki, I’m not sure which I like more; your fabulous enchiladas or that amazing scenery’! This looks wonderful, can’t wait to try it. I love traveling and finding treasures like your cookbook! Have a wonderful time! I love collecting cookbooks when we travel. My family use to say, “oh do you have to?” Now they’re use to it. Plus lets face it, they reap the benefits. Hope you’ll try this dish, it’s so good. I love your food shot. Except for the tomatillos, rest of the ingredients sound exotic . I am sure the enchiladas must have tasted awesome. Most people haven’t used tomatillos, so that’s great you have. I was skeptical that my family would like this that’s why I made a second version. It was all eaten but they favored the one with the tomatillo salsa. This looks terrific! 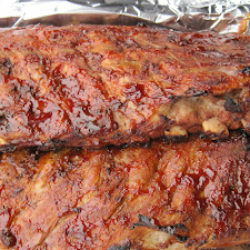 I love the flavors, and the recipe is quite easy to make. And how could any picture not look wonderful with those gorgeous mountains in the background?! Fun post – thanks. I know the mountains in the background definitely help especially since my photography skills aren’t so terrific. I really do need to take some lessons. The enchiladas and tomatillo salsa were so easy to prepare. It took no time at all. Plus the aroma in the house was fantastic. Always a good sign. Hope you’ll try it. I agree. I can’t wait to make these again. I’ll wait a couple weeks. I don’t want to wear out their welcome! Oh my…these Enchiladas look awesome. I can tell why your family love the tomatillo better, because it’s freshly made by you! 😉 Can’t wait to give it a try. This sounds like a wonderful book to have around the kitchen. I’m going to check it out right after this. It’s a great book. I’ve enjoyed it and many of the recipes. I really need to share more of them. Hope you’ll try it. Healthy, but still flavorful food?! I’m in!!! 🙂 Looks like a great book…and the enchiladas.. yummy! 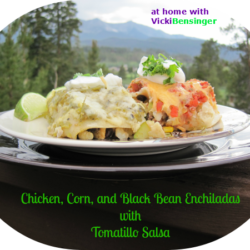 Vicki, this looks and sounds delicious…can you believe I never had tomatillo? I would love to give this a try…and soon. WOW! You know I love this one! What a fabulous enchilada plate! Love the use of the Manchego cheese, one of my favorites. Have never used it in enchiladas, but I love the idea. Vicki, we take care of our two grandsons every Monday so that our daughter can take a library day to study for her MBA program. She picks up the boys and stays for dinner most Monday nights to give her husband a little ‘break’. I don’t have to think about what I’m making for dinner next Monday – this is it! I think the almost 4-year-old would love these too. What a gorgeous background for your dish! Made these last night. So delicious and healthy. If you find tomatillos at farmers market, buy a bunch, remove the papery layer and throw in a freezer bag. So much to have on hand! Sally thank you so much for letting me know you tried these. I’m glad you loved them. Great tip on the tomatillos. I have tons of tomatillos this year. Have you ever frozen the salsa? 1. Put the salsa verde in the refrigerator to cool if you have recently cooked it or if you have any left over after a meal. Warm salsa can cause condensation in the container you freeze it in, which can damage its taste and texture when you thaw it out. 2. Pour the cool salsa verde into an airtight container or sealable plastic bag. Do not fill the container up to the top–leave some room in case it expands. At least an inch of extra space is advisable. 3. Expel as much air as possible from the container or bag by lifting the corner of the container lid or pushing on the empty space of the bag to force the air out. 4. Place the salsa verde in the freezer right side up to prevent leaks. 5. Remove the salsa verde from the freezer at least 5 hours before serving and put it into the refrigerator to defrost.